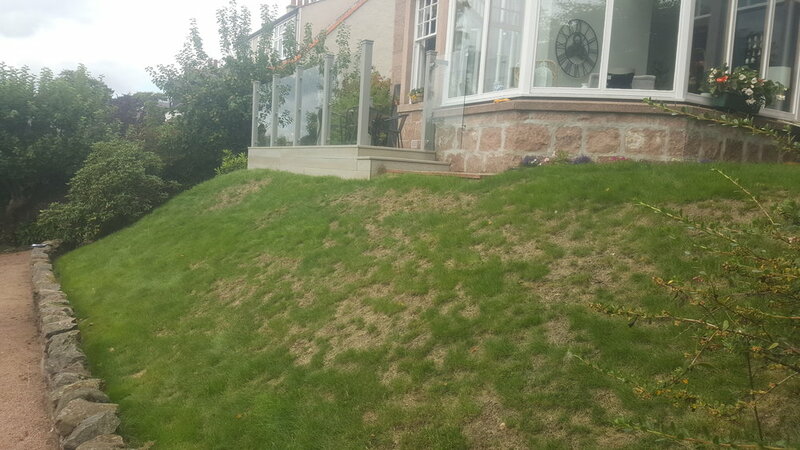 Steep slopes can be difficult to manage and maintain, this grass slope had become particularly challenging to mow with the installation of the sun deck at the top of the slope. We decided the solution wasto change the grass into a layered mix of perennials and shrubs. The bottom layer consisting of a mix of creeping plants to ensure the soil was protected from erosion. Above this is a layer of perennials which will be happy in the relatively warm, dry conditions of a south facing slope in the North of Scotland. The perennials have been chosen to have an emphasis on late summer when the client felt the rest of the garden was less colourful. The new border will need to be cut back in late winter but should need little weeding or other work throughout the year once the creeping plants have formed a mat to prevent weeds growing.